Epic Games just added a new starter pack to Fortnite (Free) that gives players some new goodies for their first V-Bucks purchase. 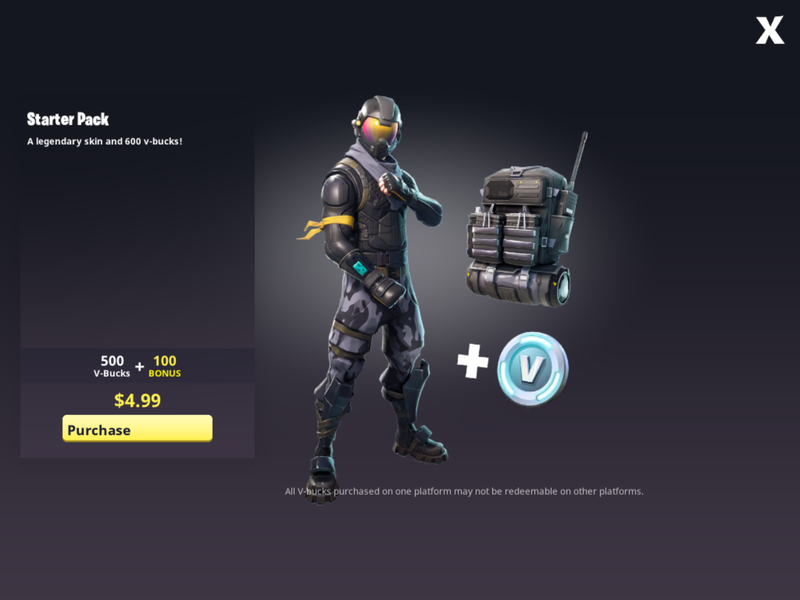 It comes with 600 V-Bucks (which are worth approximately $0.01 USD each – the $9.99 pack comes with 1000, so you get 100 as a “bonus"), along with the Rogue Agent outfit and the Catalyst back bling. Outfits run at least 800 V-Bucks, Even if you purchased V-Bucks in the past, you can purchase the Starter Pack and get these benefits for yourself. The Starter Pack isn’t enough to pay for the Battle Pass, necessarily, but if you have the Battle Pass, this puts you on a road to more quickly pay for your Season 4 Battle Pass at less than just buying it outright. Or, you can buy an outfit more easily than just earning free V-Bucks. The 600 V-Bucks aren’t enough to buy anything other than emotes and non-outfit bling, but they will subsidize a bigger purchase. Plus, you get an outfit along with it, especially if you like tactical black. 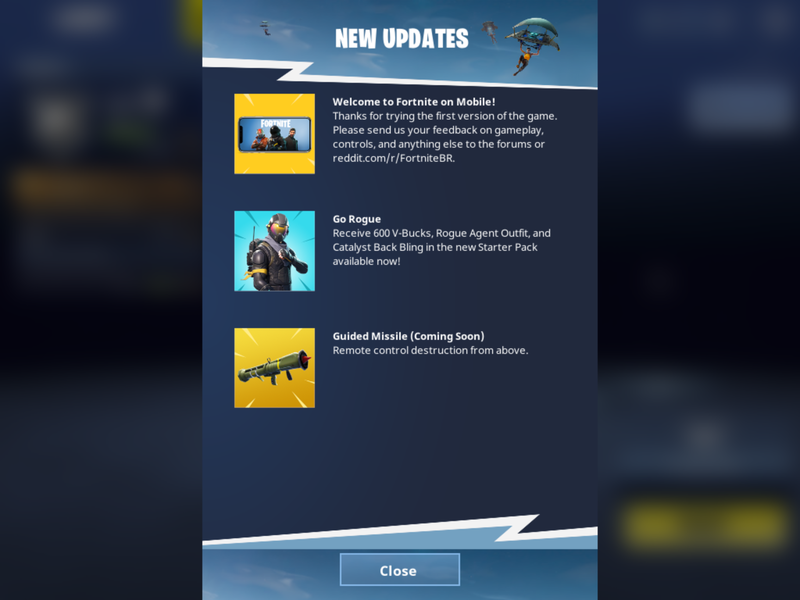 This Tuesday update for the game also teases what’s new this week: a Guided Missile Launcher, promising “Remote control destruction from above." Will this bring in a new gameplay mechanic where players have to guide a missile, but have to remain safe and stationary while using it? If players can pull that off, then they might be able to get the drop on opponents, especially if they have big structures that they’re so proud of building. We all turn to dust, comrades. If you’re playing Fortnite on iOS, make sure to join #fortnite on our Discord server to find squads (maybe even with one of the TouchArcade Twitch streamers if you’re cool about it), chat about the game, and share your best moments. Get a cool Victory Royale? Let us know and we might share it with the TouchArcade audience. Need a code? Come join #fortnite_codes and play Pokecord with us, and maybe win a Fortnite code from Rob “The Funnell" Funnell or one of our other generous Discord users.